1. Beige colourÂ top with multicolour floral print all over. 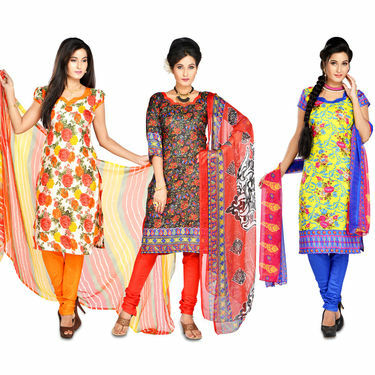 The floral print is in colours of pink, orange and yellow with contrast green leaves. 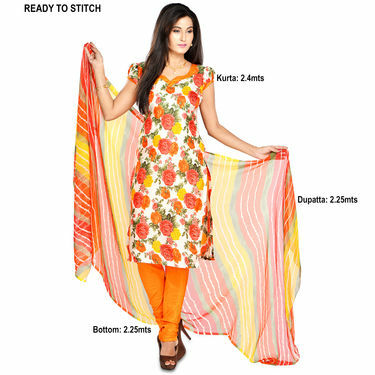 Orange plain bottom and the dupatta is in leheriya print style. 2. Black shade top with multicolour floral print. The border has traditional paisley motifs. 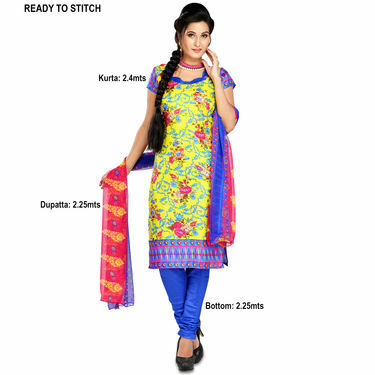 Red plain bottom and the dupatta is also in similar colour scheme. 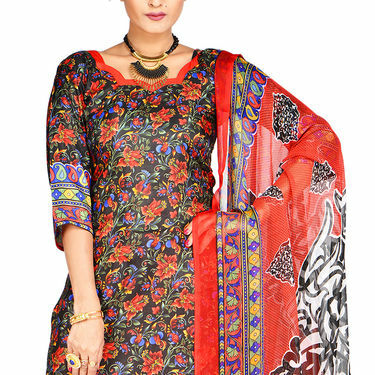 Geetika Pack of 3 Art Silk Dress ..VSPack of 9 Assorted Printed Dress .. Geetika Pack of 3 Art Silk Dress .. VS Pack of 9 Assorted Printed Dress ..
Geetika Pack of 3 Art Silk Dress ..VSPack of 6 Kurta Material + 3 Bott.. Geetika Pack of 3 Art Silk Dress .. VS Pack of 6 Kurta Material + 3 Bott..
Geetika Pack of 3 Art Silk Dress ..VSPack of 7 Printed Dress Material .. Geetika Pack of 3 Art Silk Dress .. VS Pack of 7 Printed Dress Material ..